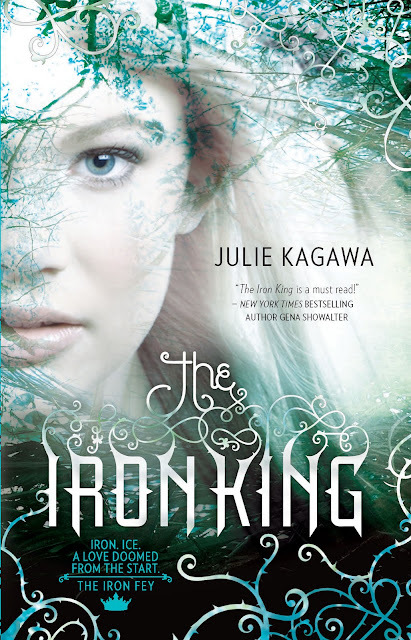 Julie Kagawa shows of her cover for The Iron King, her debut young adult fantasy due from Harlequin Teen, February 1, 2010. But she could never have guessed the truth—that she is the daughter of a mythical faery king and is a pawn in a deadly war. Now Meghan will learn just how far she’ll go to save someone she cares about, to stop a mysterious evil no faery creature dare face…and to find love with a young prince who might rather see her dead than let her touch his icy heart. Beautiful cover. I love the heading font. This probably has nowhere near the similarity that I'm imagining at first glance, but this sounds a lot like Richelle Mead's adult Dark Swan series to me ATM. I just got done trying to read the second book, though, and I believe her third book will be titled Iron Crowned. This one really does have a pretty cover though. Might be interesting as a YA read. 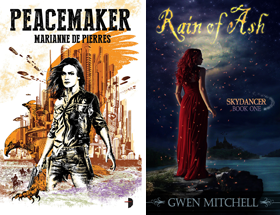 Nat publishers seem to lavish a lot of attention on their YA books. They seem less formulaic then the adult equivalents. Danielle it is all very elegant - a very baroque feel. KMont I've only read the first book in that series by Mead and while I liked it well enough, I prefer her other two series more. I have an ARC of the Iron King which I will be reading shortly. I'll see if there are parallels. Michelle excellent point. As a teen I was jumping right into the adult titles (except for the obvious SF young adult titles). Kids today are lucky indeed with the choices available. Hey Judi thanks! Glad to see you back in the swing of things. Great cover, and I'm such a sucker for a good fae story! Will be looking for this one in Feb. I really like this one. From one angle it looks like her hair and from another it lookks like trees in a forest. Renee Huff writes such great female characters. I hope you like that one! Elnice I guess with it being about faerie they are trying to achieve a certain fey feel. Ladytink I wonder if that was intentional? I agree with Ladytink's observation! The cover is very easy on the eyes, I'm definitely looking forward to it. Mishel definitely good design either way.